I have always loved tennis games, but I can never find a good quality fun to play one until now. This game has great graphics, great mechanics and is very innovative. It works great and there is loads to do. Although it is a great game i have two major problems that I think make the game tedious and let it down. The first one is that when playing arena mode (online mode), the match making is terrible and it is really often a test of not the better player but the better team, I would often have my 70 point players up against 40 point players or 110 point characters. M second problem is that although the game has a large campaign/ opens games half way through you come to a stand still, the problem is the opens games slowly get harder. Although slow they level up and get better faster than you, to the point where you are playing with 60 point characters against 85 point characters and you have to spend a long while playing different game Modesto level up your characters before continuing. But over all it's a great game. Also with the new update you stuffed up Arena again and now half the time when you are winning the opponent leaves and you don’t end up winning, switch it back to how it just kept in an AI instead. Great game...The lucky draws weren't working but have been fixed! This is not my first review, but for some reason they don't stay up! Not sure why, my reviews have been favorable and I don't use any profanity?? I'll keep this short, as it probably won't stay up any way!! 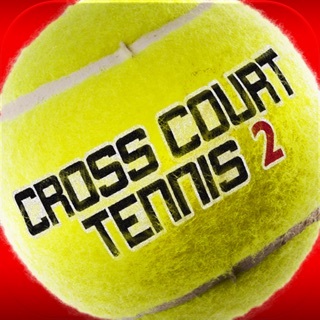 This is an all round great tennis game, probably the best on iTunes! Fantastic graphics, game play, customization etc etc etc. It's very very hard to fault the actual game, it looks and plays so well! My only criticism is that up to the recent download, lucky draws weren't working, the ads played, but "no pay" of the reward! I followed advice to clear cache & reinstall the app after reporting it to game support, it made no difference at all (after numerous tries as well!). I believed it was a network or server issue. It was only a recent issue, the update fixed it, so game support gave me completely wrong advice, it was not an issue on my phone, not happy at all! Also if I was one of the advertisers I'd be far from happy, this problem put people off watching the ads they (advertisers) paid to be played in the game, for more than a month, all round a bad look!! !